If you enjoyed The Devil in the White City, then you’ll love The Suspicions of Mr. Whicher. In June of 1860 three-year-old Saville Kent was found at the bottom of an outdoor privy with his throat slit. The crime horrified all England and led to a national obsession with detection, ironically destroying, in the process, the career of perhaps the greatest detective in the land. At the time, the detective was a relatively new invention; there were only eight detectives in all of England and rarely were they called out of London, but this crime was so shocking that Scotland Yard sent its best man to investigate, Inspector Jonathan Whicher. Whicher quickly believed the unbelievable—that someone within the family was responsible for the murder of young Saville Kent. Without sufficient evidence or a confession, though, his case was circumstantial and he returned to London a broken man. Though he would be vindicated five years later, the real legacy of Jonathan Whicher lives on in fiction: the tough, quirky, knowing, and all-seeing detective that we know and love today: from the cryptic Sergeant Cuff in Wilkie Collins's The Moonstone to Dashiell Hammett's Sam Spade. 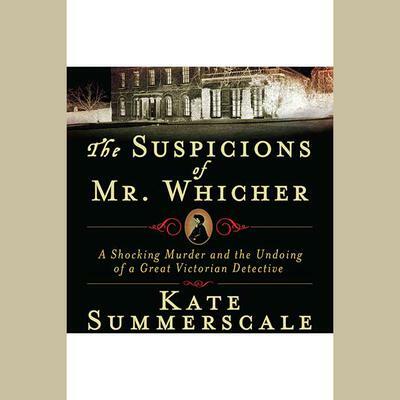 The Suspicions of Mr. Whicher is a provocative work of nonfiction that reads like a Victorian thriller, and in it author Kate Summerscale has fashioned a brilliant, multilayered narrative that is as cleverly constructed as it is beautifully written.